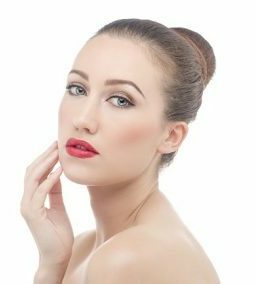 Surgical Facelift VS Non-Surgical Facelift - What Difference? Home » Surgical Facelift VS Non-Surgical Facelift – What’s the Difference? Surgical Facelift VS Non-Surgical Facelift – What’s the Difference? The term ‘face lift’ is now applied to a wide variety of cosmetic procedures which are all completely different. The traditional facelift is a form of plastic surgery which involves a serious operation to lift the skin and muscles on the face to reduce wrinkles. As the cosmetic industry has advanced, it has introduced new ways to fight the signs of ageing and give the facelift effect without the scalpel. If you’re considering your options and would like an anti-ageing procedure on the face, read on to find out the difference between surgical and non-surgical facelifts and the associated pros and cons. The traditional facelift provides long term results for wrinkle reduction and provides an overall younger looking face. It is an invasive procedure which can reverse the signs on ageing and ensure the faces ages at a slower pace. A cosmetic surgeon needs to carry out a surgical facelift as it is very complex. The skin is cut at the temple and together with the tissues, is peeled higher to create a youthful look. Any excess skin is completely removed. A surgical facelift is very effective, often making people look 10 years younger! However it comes at a high cost and with multiple risks. As it is an invasive procedure, if something goes wrong during the surgery patients can be left with paralysis of the face or disfigurement. There is also a risk of infection following the operation. It can take up to six months for the scars to heal, so you won’t be able to show off your new face straight away. This type of facelift is non-invasive so it doesn’t require you to undergo surgery. Also known as a liquid facelift, this procedure uses fillers and PDO threading to address wrinkles and facial symmetry. As a bespoke treatment, a cosmetic doctor can identify areas which need slightly altering – lifting the brows, softening lines and wrinkles and restoring volume where needed. This can achieve a radiant and youthful look with results visible in a couple of weeks. Compared to a surgical facelift, this non-invasive procedure has a very short recovery time of 1-2 days – you can even go back to work the next day. There are not as many risks associated with a non-surgical procedure however it is still important to go to an experienced cosmetic surgeon as problems can occur if fillers are injected into the wrong place. Although results may not last as long as the traditional facelift, you can arrange top ups, and the treatment is completely personalised to your face and its individual features. Find out more about our range of facelifts and anti-ageing treatments.